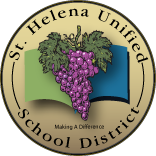 The ability for me to integrate action research into my teaching assignment has been made possible through the support of the administration of both St Helena High School and St Helena Unified School District. First, in order to address the need to offer more Advanced Placement courses to challenge ALL students, I was given the go ahead to provide instruction in both AP Statistics and AP Psychology. These two courses have students enrolled who represent both the ethnic and socio-economic diversity of our school system and students are performing higher than the national average on the high-stakes, end-of-course exams. As a next step, I was entrusted to integrate a learning management system into my classes. Following my pilot integration, I received support as I worked with others in the district to take the adoption of a learning management system, not only school-wide but district-wide. As of December 2014, we have adopted a K-12 LMS and, with the assistance of teacher-trainers, expect to have its use fully implemented throughout the district starting in the the Fall 2015. 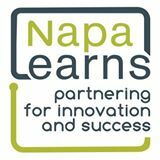 With scholarship support from Napa Learns, I have been able to participate in the Touro University Master's Program of Education (Innovative Learning). My participation in the program has given me the opportunity to not only study an area of education that I am passionate about but also to experience digital learning first-hand. Participating in a fully-online, synchronous learning experience has given me insight about how to best integrate digital tools to make a blended learning experience more effective.